Started as a quarterback and halfback. 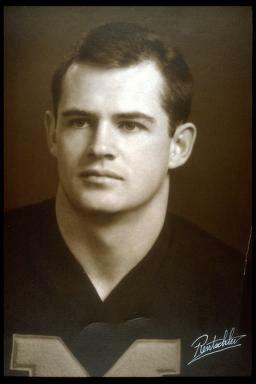 Injury in 1964 robbed led him of Rose Bowl trip but he was granted an extra season. Shifted to split end in 1965, his great pass receiving and running continued through 1966 to give him Big Ten receiving record of 50 passes caught for 698 yards in seven conference games. He also set Michigan pass reception career marks with 132 for 1,919 yards in three seasons. Joined Miami team in NFL at completion of his career.